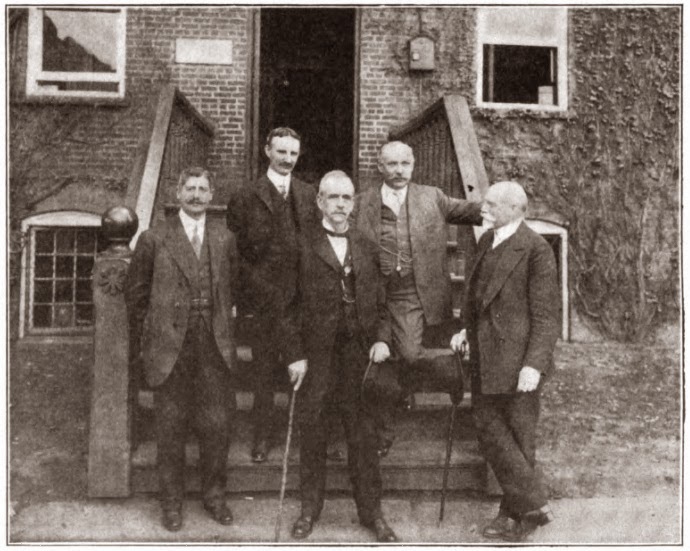 George Adam Seib (1860-1933), back right, with William McKendree Jenne (1837-1918), centre front, with stick, on the steps in front of the Remington Typewriter Works, Ilion, New York, in 1912. Jenne, the Remington superintendent who built the first Ilion typewriters, in 1873, was called the "Father of the Typewriter". 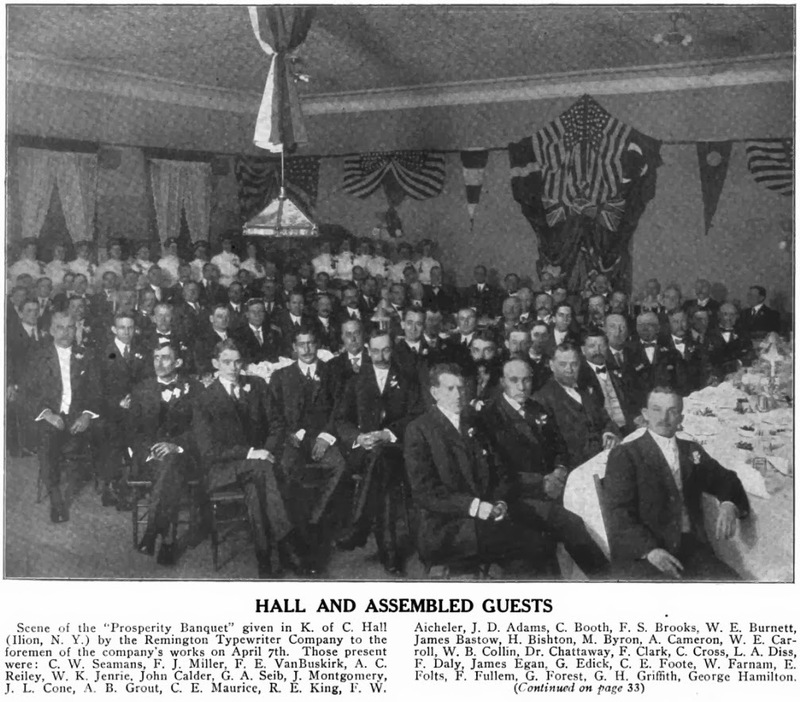 On the top right beside Seib is fellow typewriter inventor Edwin Earle Barney (1866-1949). George Adam Seib must be one of the last of the truly great typewriter inventors to be covered in this series. Notwithstanding the claims made about Seib perfecting the visible Monarch and Remington typewriters in this headlined Brooklyn Daily Eagle obituary of October 27, 1933, Seib deserves to be described as one of the greats by dint of the sheer number of typewriter patents he had held - no fewer than 124! And these were assigned not just to Union Trust machines, including the Densmore, but two of them to Franklin as well. 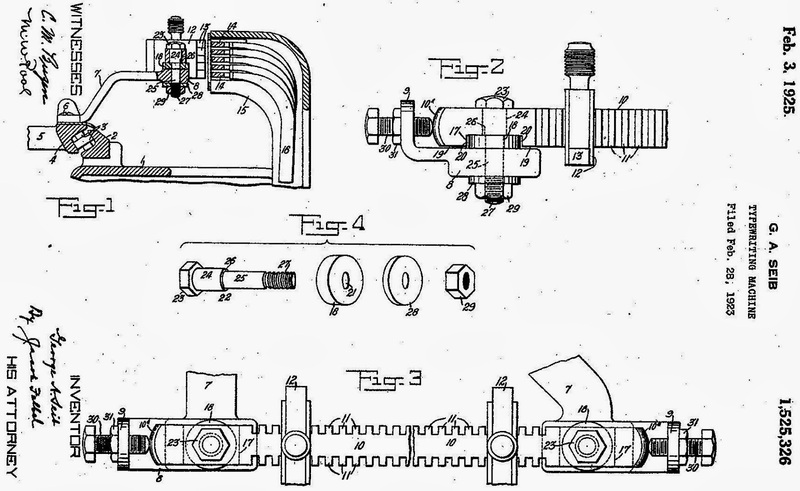 He applied for one of these patents on this day in 1923. While it was titled as a "typewriting machine" patent, in fact it was, like so many of Seib's 124 typewriter patents, for just a part of a typewriter - in this case the stop bar mountings. 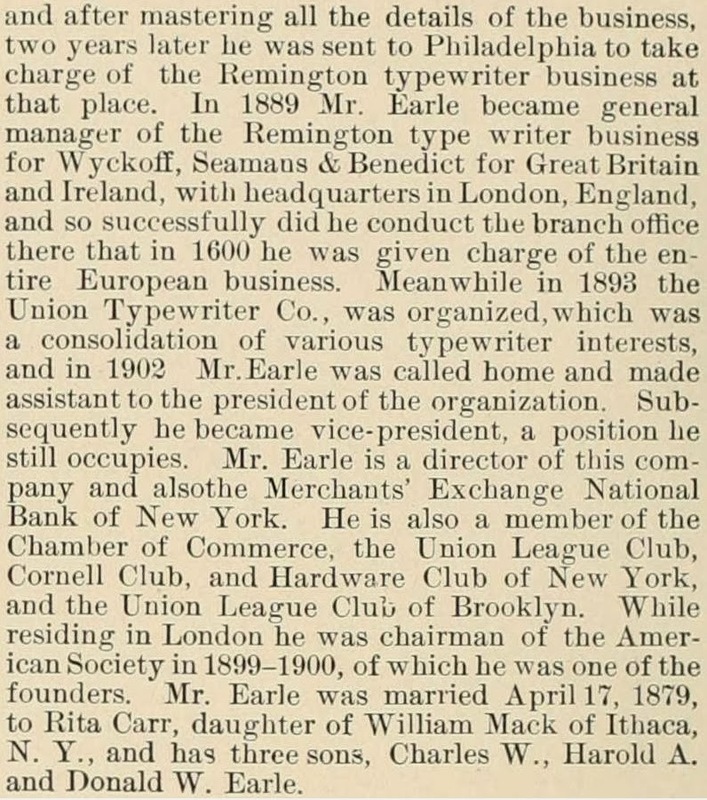 Still, as the Brooklyn Daily Eagle wrote, "For 28 years ... he was an important factor in the development of the Remington typewriter ..." And that long period of commitment and contribution alone entitles him to a place in the upper echelon of typewriter inventors. Yet it is true that Seib did guide the Remington out of 35 years of the darkness of "blind writing" into the light of modern typing. As Paul Lippman wrote in American Typewriters, Seib's biggest challenge was, in designing the first Remington Visible (the Model 10 of 1908) "to avoid all existing patents accumulated for front-strokes by rivals over 25 years". Seib may have seemed to later historians - who hardly mention him, if at all - little more than a bit player at Remington. But Seib clearly played a major role in the considerable improvements made to at least two of the typewriters which came under the umbrella of the Union Trust. Remington rated Seib so highly that in 1911 he was one of eight officers of the company, alongside president Henry Harper Benedict, Clarence Walker Seamans, John Walter Earle (1854-1916) and Oscar Woodward, all giants of the industry. 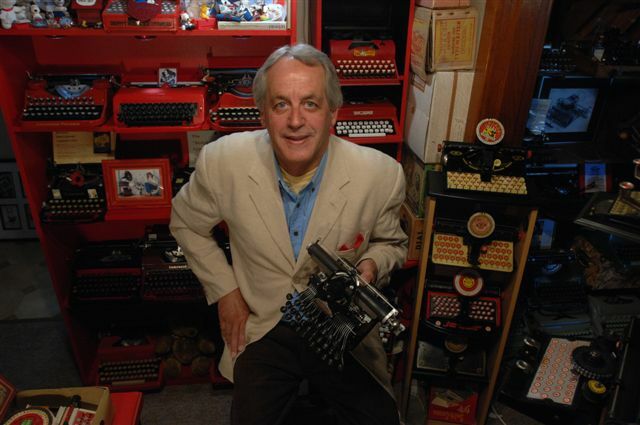 George Adam Seib was described as the "developing engineer" of the Remington Typewriter Works in Ilion, New York. He was born in Lambrecht, German Palatinate, on November 4, 1860. His father, also George Seib, was a machinist, born in Germany in 1835, who migrated to the US in 1872, settling in New York City. George Adam Seib travelled with his widowed father, aged 11, and was educated at Tremont High School, New York City. He went to work at the age of 16 as an apprentice electrician and followed that trade for 18 years. 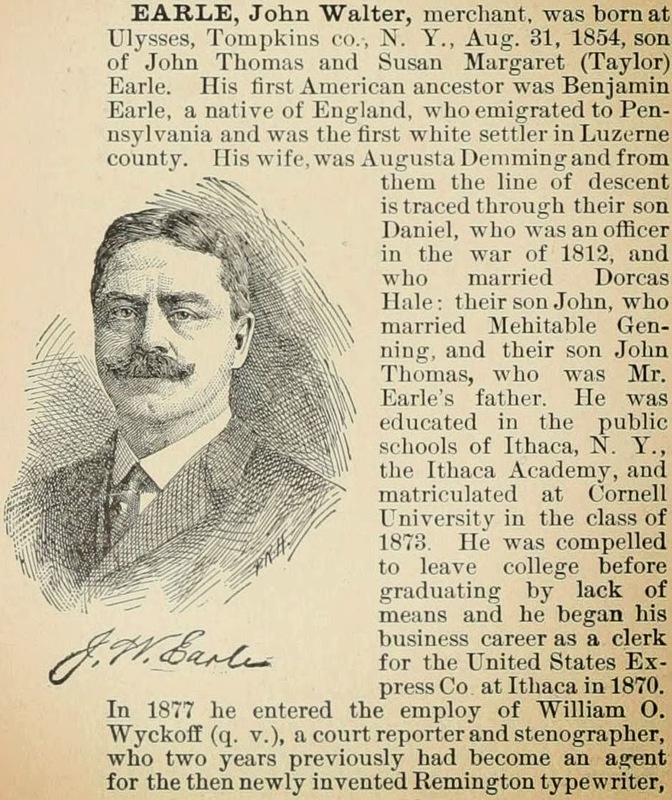 Twelve years of that time Seib was with the J. H. Bunell Company, then he had charge of the experimental laboratories of the North American Phonograph Company for three years, after which he went into business for himself, doing laboratory experimental work and manufacturing electrical appliances. 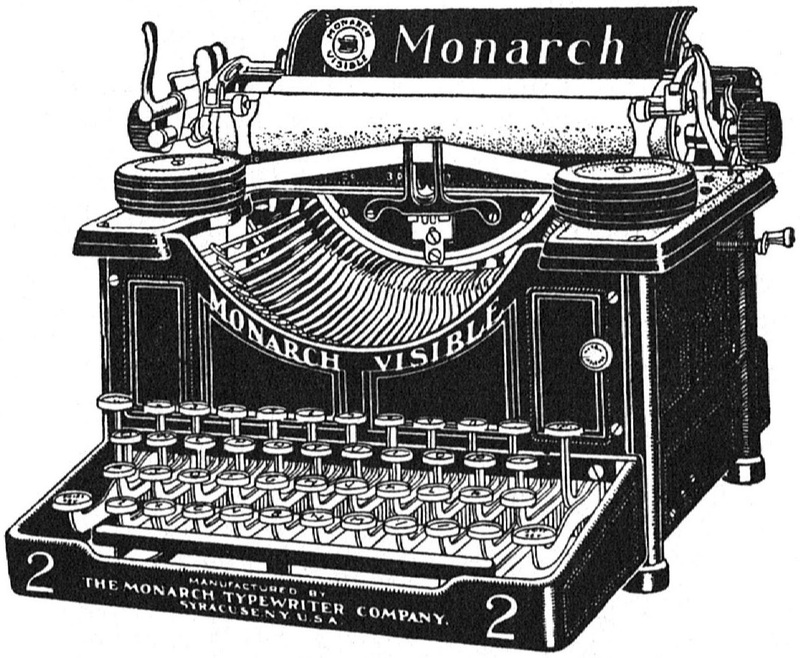 In 1893 Seib accepted a position as superintendent of the Franklin Typewriter Company, to remodel that machine and also establish a plant in Brooklyn. 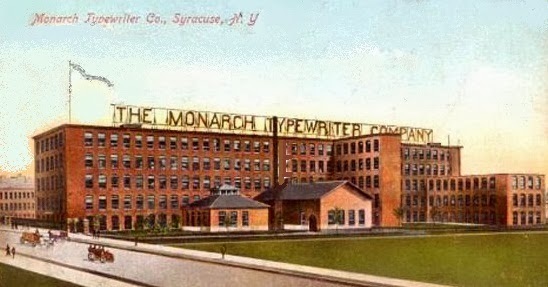 He remained there until 1902, when he became superintendent of the Remington Typewriter Company, taking charge of the Densmore plant in Springfield, Massachusetts, until 1905, then was made superintendent of the Monarch plant in Syracuse, New York, where he remained for three years. In 1908 he moved to Ilion as superintendent of the Remington Typewriter Works, to manufacture visible machines, the first of which was put on the market in the autumn of that year. In his early career Seib also took out a number of patents in motor lines and in household articles. He was a member of the American Society of Mechanical Engineers of the Mohawk Valley, the Engineers Club of Utica and the Engineers Club of Ilion. He was president of the board of trade of Ilion from 1912-15 and took an active part in getting a trolley service on Main Street, and was also active in procuring the early construction of the concrete and asphalt road through Ilion Gorge to Cedarville. He was president of the board of directors of Ilion Hospital and a member of the Municipal and Electric Light Commission since its establishment. He was also a member of the Ilion Housing Corporation. Sieb died in Ilion on October 25, 1933, aged 72. 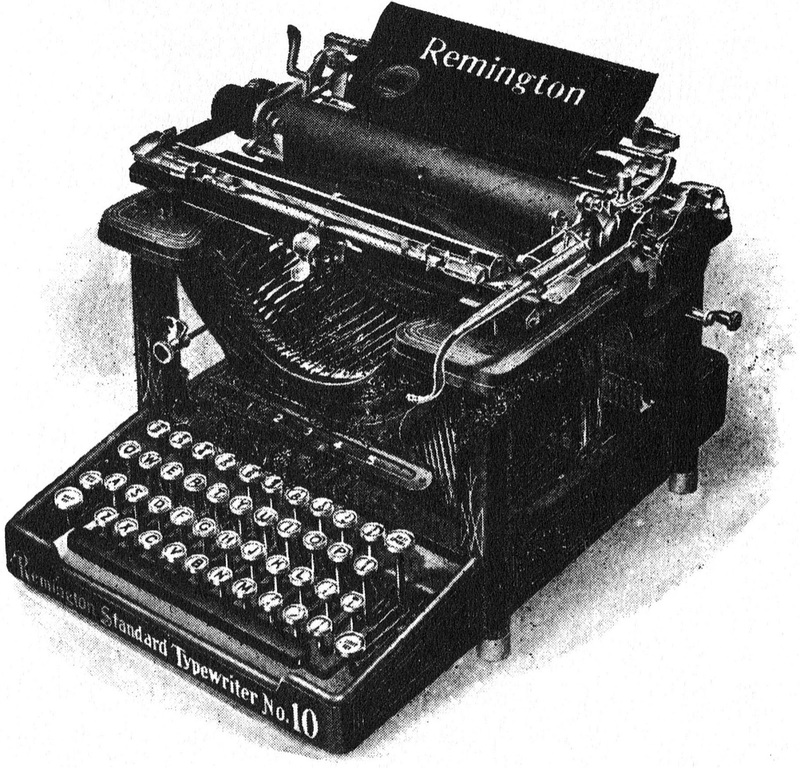 Anyone keen to download the annual reports (and financial statements) of the Remington Typewriter Company from 1914 to 1928 can find them here. Be warned, though, that the PDF is quite large.